Psalm 13 is one of the examples used to talk about a Psalm of lament because it comes out of the experience of struggle and strife and calls upon God to act upon the crisis that the faithful one is experiencing. The crisis is not only a physical or emotional crisis but for the Psalmist, at its core, it is a theological crisis. The confident opening of the Psalter with Psalm 1 that sings about how the LORD watches over the righteous and the way of the wicked perishing is called into crisis by the moment of conflict where God seems to have forsaken the one lifting up this prayer. In the midst of the crisis the Psalmist cries out to the LORD and calls upon God to act. This type of bold prayer, which calls upon God to act and to intervene, might seem unusual for many people. Many Christians were taught growing up that you didn’t accuse God or question God’s motives and that prayers were always to be polite and stoic. Although this view is common it has little to do with the Biblical model of prayer or the relationship of many of the faithful with God. 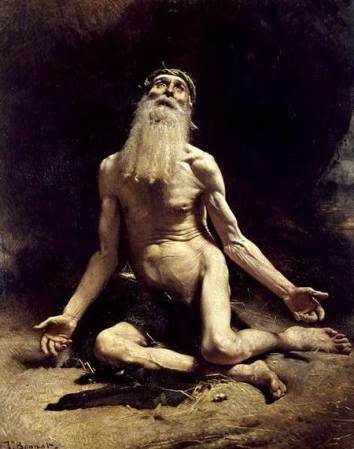 Jeremiah, for example, makes numerous accusations towards God throughout the book of Jeremiah, Job also can cry out and expect God to act upon his complaints, and finally the Psalter is full of powerful, unfiltered emotions that are directed towards God and wrestle with the LORD who can bring about a resolution to the struggle. It takes courage to ‘gird up ones loins’ and stand before God in this manner, to be willing to accuse God in failing in God’s responsibility to maintain faithfulness and watchfulness as a covenant partner. The Psalmist views the relationship with God as pivotal for their life and if God turns God’s face away and removes God’s protection and allows the enemy to prosper and prevail then God is not fulfilling God’s part of the relationship. The Psalmist’s faith is strong enough to confront God that all is not right in God’s creation (Nancy deClaisse-Walford, 2014, p. 163) and that God is the responsible party to ensure that the righteous are protected and the wicked are punished. How long will the Psalmist continue to cry out to God before God answers? The hope is certainly not long. In the God forsaken place that the Psalmist cries from they know that only the enemy’s triumph and the sleep of death wait for them. They are at the end of the strength and the end of their resources and despair is coldly creeping into their soul, and yet in an act of defiance the call out to their God to act on their behalf, to fulfill God’s promises and to rescue the righteous one from the triumph of the wicked. The Psalm ends with a note of trust or perhaps, as many commentators believe, the Psalmist has seen God’s answer to their prayer. If the prayer is answered we have no way to know how long elapses between verse four and the final statements in verses five and six. Perhaps they come hours, days, weeks or even years later when the Psalmist now stands in a place where God’s face continues to shine upon them. Yet, perhaps the ending is not a triumphal as a final answer but the whisper of trust into the deafening depression of despair. From my own experiences there can be this type of internal dialogue in that place of hopelessness where one struggles with and for one’s faith. One can boldly cry out to God and call upon God to act in the situation. Even in that space where all one perceives is isolation there can still be that turning back to the foundations of one’s life. I have trusted in you before, your love has not failed in the past, the how long will be not long and even though I may not see it now I can trust that I will indeed sing the songs of the LORD again. This entry was posted in Biblical Reflections, Psalms and tagged God forsaken, lament, Psalm 13, Psalms, suffering. Bookmark the permalink.